Reuters“Pakistan’s Foreign Affairs Adviser Sartaj Aziz levers remained unpulled last month as the Taliban kicked off the annual spring offensive with an attack in Kabul that killed 37 people.” Residents near the site of attack. Last week, Afghan President Ashraf Ghani’s 18-month engagement with Pakistan collapsed under the stress of Pakistani recalcitrance, Taliban resurgence, and domestic politics. While the result may be a short-term boost in India-Afghanistan ties, longer-term trends are bleak. No one is fully committed to Afghanistan’s dysfunctional government. Beijing is unwilling to use its leverage over Pakistan, Washington is distracted, while Moscow and Tehran are hedging their bets. The idea of a regional concert of powers to resolve the conflict, widely mooted at the beginning of the Obama administration, is implausible today. President Ghani’s landmark speech at the United States Institute of Peace (USIP) last May seems a long time ago. “The problem, fundamentally, is not about peace with Taliban,” he had said. “The problem is fundamentally about peace between Pakistan and Afghanistan.” This was the premise of his controversial outreach to Pakistan, including a personal trip to Rawalpindi and a bungled agreement between the Afghan and Pakistani spy agencies. Mr. Ghani’s policy was borne not of naivety, but the sober realisation that if Pakistan was the taproot of the insurgency, it would also have to be the locus of diplomacy. The U.S. and China agreed, each eager to stabilise Afghanistan for their own reasons. Last July, Afghan government representatives even met senior Taliban figures in the Pakistani town of Murree, though those talks collapsed after it turned out that their backer, Mullah Omar, had long been a corpse. 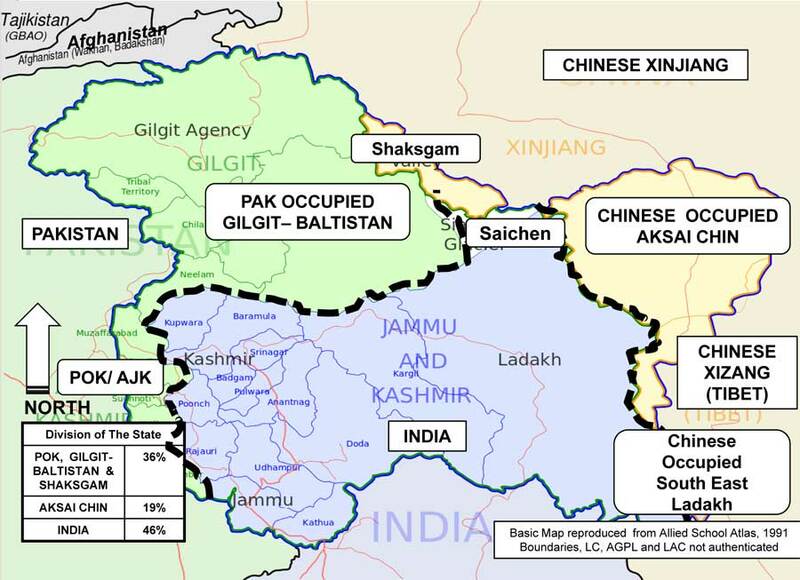 Even as violence grew regardless, a Quadrilateral Coordination Group (QCG) of the U.S., China, Pakistan and Afghanistan was convened in January 2016 and met four times over the following month. China, although an outside power, is seeking to carve out a role for itself in the Indian Ocean region through its Maritime Silk Road initiative. The Maritime Silk Road — along with an overland Silk Road to connect China with Central Asia, the Caspian Sea basin and beyond — bears the imprint of President Xi Jinping, who has articulated a more expansive role for China than any modern Chinese leader other than Mao Zedong. China’s quiet maneuvering in the Indian Ocean, where it is seeking to challenge America’s sway and chip away at India’s natural-geographic advantage, draws strength from its more assertive push for dominance in the South China Sea — the critical corridor between the Pacific and Indian oceans. With China converting tiny, largely submerged reefs into islands that can host military facilities and personnel, the South China Sea has become pivotal to the contest for influence in the Indian Ocean and the larger Indo-Pacific region. 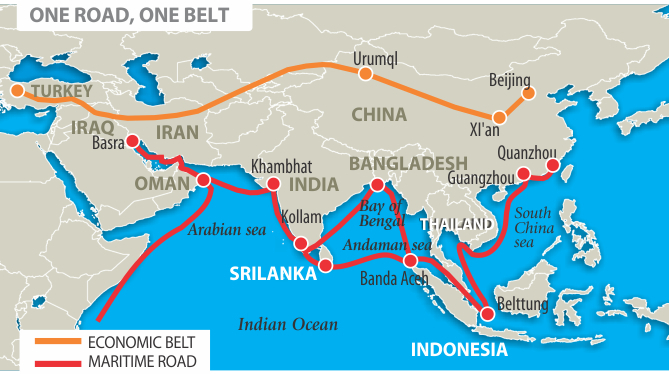 The dual Silk Road initiatives — also labeled the “One Belt and One Road” by Beijing — are part of Xi’s strategy for China to break out of the East Asia mold and become a more global power, with its clout extending to the Middle East. The projects will enable China to build economic leverage and help pull regional countries closer to its orbit. New Delhi: In a searing critique of security and intelligence gaps that may have contributed to the Pathankot terror attack at the start of this year, a parliamentary panel has said that there is "something seriously wrong with our counter-terror security establishment." In its report, the cross-party panel of MPs rips into the home ministry while raising questions on India's preparedness against terror attacks. Despite "concrete and credible intelligence inputs, the security agencies of our country are (too) ill-prepared to anticipate threats in time and counter them swiftly," the report says. It also comments that the "terrorists managed to breach a high security air base and could launch an attack despite an advance alert." On January 2, six terrorists who had infiltrated into India through the border entered the high security Pathankot airbase and opened fire. In an operation that lasted nearly three days, seven military personnel were killed. While the country is still trying to comprehend the security dimension of the problem, terrorists have off late started hitting where it matters the most (the social fabric) and it is the biggest strength of a multicultural society. 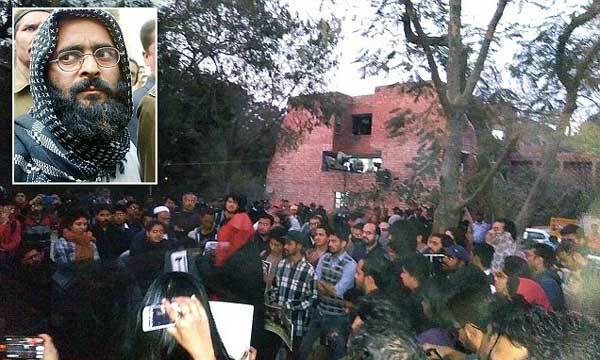 The problem created by shouting anti-India slogans was not merely a problem of sedition but was an outcome of high level meticulous planning of the masterminds as how to dodge the security and intelligence apparatus by creating social unrest among the academicians and students. Security and national integrity ought to be rated at the top most priority and should not be discussed in public forum by sometimes the so called self-claimed experts of multidimensional issues. No sweeping comments, no laxity to be allowed as it would only expose the difference of opinion and provide an opportunity to engulf entire country into high tension zone on account of socio-political and economic differentiation. It is time of an essence and high time we realized that concepts such as nationalism and patriotism are highly sacred and to be given at most importance in nation’s life above everything. The concept of liberty and its relationship with security and safety appears to in the midst of a major transformation, largely on account of rapidly changing nature of discourse and argumentation. 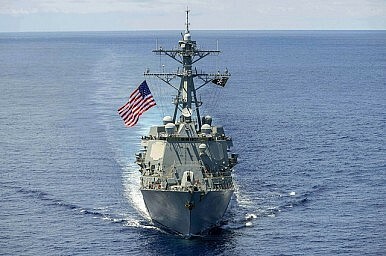 India and the United States are holding talks on strengthening cooperation on anti-submarine warfare (ASW), Reuters reports. The talks are purportedly focused on devising strategies how to best keep track of the growing number of Chinese submarines making forays into the Indian Ocean. Neither Indian nor U.S. military officials, however, have officially revealed details of the talks. “These types of basic engagements will be the building blocks for an enduring Navy-to-Navy relationship that we hope will grow over time into a shared ASW capability,” a U.S. Navy official told Reuters. According to an Indian naval source, this year’s Malabar naval exercise taking place in the northern Philippine Sea in June will allegedly include Indo-U.S. ASW drills. 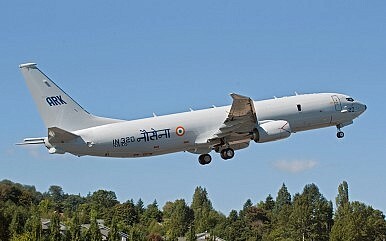 ASW training was also part of the 2015 iteration of the naval exercise, with India and the United States each dispatching one Boeing P-8 maritime surveillance aircraft. U.S. Defense Secretary Ashton Carter and Indian Defense Minister Manohar Parrikar, pledged to deepen Indo-U.S. military ties during Carter’s visit to India last month (See: “India and United States Agree to Deepen Military Ties, Technology Cooperation”). In a joint statement issued during the visit, Carter and Parrikar highlighted the need for navy-to-navy talks on anti-submarine warfare. One of the most likely areas of Indo-U.S. ASW cooperation is naval aviation. Kalvari, the first of Project-75 Scorpene submarines weighing about 1,600 tonnes, sailed out of Mumbai harbour on Sunday for sea trials. Sixteen years after the Navy last inducted a submarine, it is set to commission a new line of conventional submarines by year end but for some time they will operate without their crucial weapon systems, torpedoes, procurement of which are yet again caught up in allegations of wrongdoings. Kalvari, the first of Project-75 Scorpene submarines weighing about 1,600 tonnes, sailed out of Mumbai harbour on Sunday for sea trials and is scheduled to be commissioned into the Navy in September. However, the procurement of heavy weight torpedoes from Whitehead Alenia Sistemi Subacquel of Italy, a subsidiary of defence major Finmeccanica has been stuck due to the VVIP chopper scam and ongoing ban on the company and its subsidiaries. The Navy last inducted a conventional diesel-electric submarine, INS Sindhushastra, procured from Russia in July 2000. “During the next few months, the submarine will undergo a barrage of sea trials, including surface trials, diving trials, weapon trials, noise trials etc. which would test the submarine to the extremes of its intended operating envelop,” a senior officer said, terming the development a significant moment for the Navy. New Delhi, May 2 India and Pakistan had agreed on a peace and no-war treaty and were on the verge of signing it in July 1984 before then Pakistani President Zia ul-Haq, who had even dismissed any need to discuss Kashmir, backtracked on the advice of US lawmakers, reveals former Indian Foreign Secretary MK Rasgotra. In his autobiography “A Life in Diplomacy”, Rasgotra, who was Foreign Secretary from 1982 to 1985 and is now in his 90s, recalled that ahead of his visit to Islamabad, then Prime Minister Indira Gandhi, who was leaving on a visit to the US, gave him a free hand, telling him, “You know it all and you can talk to them about any subject they want to talk about, including Kashmir and the no-war pact they are so keen on”. She only wanted to know if “there is a grain of sincerity” in General Zia. As Rasgotra called on him at the President’s House in Islamabad, President Zia, with the humility and charm he was known for, was standing in the verandah, close to to where he would get out of the car, and welcomed him with a big hug. During the talks, to India’s willingness to talk about Kashmir, Zia’s response was “noteworthy”. “Rasgotra sahib, what is there to talk about Kashmir? You have Kashmir and we cannot take it. I want you and (Pakistani Foreign Secretary) Niaz Naik to work on a treaty of peace and good neighbourliness, including a no-war pact,” he quoted the Pakistani President as saying. He said progress was made in discussions on the agreement, to the extent that in March 1984, Naik proposed that the Indian draft of a treaty of peace and friendship and Pakistan’s draft of a no-war pact should be “merged”. By May 1984, there was “full agreement on all six or seven clauses in the draft treaty’s preamble and on nine of the 11 articles of the treaty’s operative part” and both sides reached an agreement on these two. “Accordingly, Naik announced in the final plenary meeting of the two delegations that on clauses IV and V, he and I had reached an understanding, to which he would obtain the President’s approval on his return from the UAE and we would all meet in Delhi in July to initial or sign the treaty. But the July meeting never took place,” he recalled. According to Rasgotra, there were two reasons why Zia changed his mind, and the primary one was the advice of his American “well-wishers”. “While awaiting the President’s return from the UAE, Naik had telegraphed the text to Foreign Minister Sahabzada Yaqub Khan, who was on a visit to Washington DC. French economist Thomas Piketty says there is still a "huge" gap in data about income tax in India. Official figures just released show only 1% of Indians paid tax in 2013, while 2% filed a tax return. Prime Minister Narendra Modi tweeted that publishing the data was a "big step towards transparency and informed policy-making". But Mr Piketty told the BBC the data was too thin to draw significant conclusions about levels of inequality. "Our Govt. has taken the landmark decision of publishing the income tax data. It is a big step towards transparency & informed policy making," Mr Modi wrote on Twitter. The data has prompted a lively debate about the extent of tax evasion in India - with commentators noting that there were very few tax returns at the highest end of the income spectrum. Just six individuals were in the top-earning tax bracket - declaring an average income of $10.4m (£7.1m). The brand of Islam the Taliban represent is alien to Afghanistan and generally despised as an unwelcome foreign (from Saudi Arabia) import. The Saudis were able to install their Wahhabi interpretation of Islam in Afghanistan during the 1980s when millions of Afghans were desperate refugees living in Pakistan. The Saudis brought food, weapons and Wahabbi clergy and teachers. Afghan adults were not impressed by Wahabbism but the kids were impressionable and the Wahabbi religious schools were free and provided food and shelter for orphans as well as poor parents who appreciated the help. This is where the first generation of Taliban came from. They were a minority of a minority (the Pushtun tribes of Kandahar and Helmand) back then and still are. But Taliban leaders needed cash (the Saudis never got along with al Qaeda or the Taliban) and the drug gangs were willing to make deals. The initial 1990s arrangement was that the drug gangs could operate freely anywhere the Taliban were in control as long as they paid a large tax which, then as now, kept the Taliban going. When 2001 came around the Taliban had still not conquered all of Afghanistan and in their desperate efforts to do so had made themselves, and their drug gang allies very unpopular. Currently Afghans know the Taliban could never conquer as much of Afghanistan as they had in the 1990s but because of the need to protect their financiers (the drug gangs) the Taliban violence keeps much of the country in turmoil. Add to this the endemic corruption and the increasing number of educated (or simply the most resourceful and ambitious) Afghans leaving the country you have a national disaster of epic proportions. There are no easy solutions for all this, there never were. However, the very next day Jamat-ul-Ahrar, a faction of the Tehrik-e-Taliban Pakistan (TTP), claimed responsibility and released images of the suicide bomber. 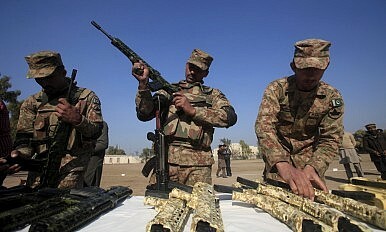 The group, based in the Mohmand Agency in Pakistan’s tribal areas, has launched six attacks since December last year. Police also admitted that the original suspect from south Punjab had no link to the explosion. Despite this, the police, intelligence agencies, and armed forces seemingly charged on with raids in Punjab, reportedly arresting 5,221 and killing five in a matter of days. In 2011, the Obama administration launched an approach to East Asia called the “rebalance to Asia.” One aspect of the rebalance was supposed to be strengthening security relationships in Southeast Asia, including through bilateral security assistance. Yet an analysis of U.S. security assistance to Southeast Asian nations shows that, in nominal dollars, overall security aid to Southeast Asia fell by 19 percent since 2010, the year before the rebalance was launched. Accounting for inflation, the overall decline in U.S. security assistance to the region would have been even steeper. Of the ten nations in Southeast Asia, only Laos, Myanmar, and Vietnam received larger outlays of U.S. security assistance in 2015 than in 2010, and only Vietnam received increased aid for programs that directly boost military-to-military relations. Much of the assistance to Laos is for demining programs, and the majority of U.S. security assistance to Myanmar was for narcotics control and demining. Assistance to U.S. treaty allies Thailand and the Philippines fell by 79.9 percent and 8.8 percent, respectively, since 2010; assistance to Indonesia, Malaysia, and Singapore—important partners in intelligence sharing, counterterrorism, antipiracy patrols, and other programs—dropped by 51.7 percent, 58.2 percent, and 71.4 percent. Security assistance to tiny, rich Brunei and to Cambodia remained negligible. On April 30, 2016, a Hindu tailor, identified as Nikhil Joardar (50), was hacked to death at his tailoring shop in the Dubail area under Gopalpur upazila (sub-District) of Tangail District. Hours after the incident, Islamic State (IS) claimed responsibility for the killing saying he ‘blasphemed’ against Prophet Muhammad. On April 25, 2016, Xulhaz Mannan (35), editor of Roopbaan, Bangladesh’s first ever Lesbian, Gay, Bisexual and Transgender (LGBT) magazine; and his friend Samir Mahbub Tonoy (25) were hacked to death in their flat in the Kalabagan area in Dhaka city, the national capital. Parvez Mollah (18), a security guard at the building and Mamtaz, an Assistant Sub-Inspector (ASI) of Police, who tried to nab one of the attackers, were injured in the incident. Witnesses said the attackers used machetes to attack but fired blank shots on their way out chanting Allahu Akbar (God is Great). Alhamdulillah, By the grace of Almighty Allah, the Mujahidin of Ansar Al-Islam [AQIS, Bangladesh branch] were able to assassin Xulhaz Mannan and his associate Samir Mahbub Tonoy. They were the pioneers of practicing and promoting homosexuality in Bangladesh. They were working day and night to promote homosexuality among the people of this land since 1998 with the help of their masters, the US crusaders and its Indian allies. Formal invite to its neighbours in framing a security governance model with "Asian features". China has announced the failure of the “Rebalance” strategy of the United States, and has invited Asian countries to join Beijing in framing a security governance model with “Asian features”. China’s formal invite to neighbours to pursue a regional security doctrine that is led by Beijing, and not the United States, came during last week’s foreign ministerial Conference on Interaction and Confidence Building Measures in Asia (CICA) in the Chinese capital. To foreigners, mainland China can be an anarchistic and chaotic place where the rules, both social and legal, are treated more-or-less like paternal suggestions rather than codes of conduct. One of the most glaring examples of the complete disregard for rules among the Chinese populace is driving. Despite the Road Traffic Safety Laws of the People’s Republic of China being as robust and comprehensive as any developed country, it is not uncommon to see Chinese drivers blatantly, and sometimes aggressively, violating the spirit and intention of the law. Red lights are constantly ignored and lanes are treated more like suggestions. The probability of being caught breaking the law is so incredibly low that it makes perfect sense to disobey the rules. Even if an individual is caught, it is not impossible to avoid punishment by simply using someone else’s driver’s license. Unfathomable to most foreigners, it is not uncommon to see people selling the use of their driver’s license outside of local police stations. With such lax enforcement and easy avoidance of penalties, it is easy to see that driving in China is a game of brinkmanship: every car jostling to get ahead of another with accidents always imminent. The reason for such disregard for the law is simple: lack of enforcement. NEW DELHI:Is the Tibetan spiritual leader Dalai Lama cosying up to China, contrary to the public perception? A recent communication reviewed by The Sunday Standard shows that his aides are planning to reach out to the Chinese, which could have seismic effects on India’s interests in the region. At the centre of the controversy is a shadowy power struggle between the two sects—the Geluks and Drukpas—over control of the powerful monasteries in Ladakh. “We resolved to set up a working committee to implement this project and work closely with Tempa Tsering La from bureau office in Delhi to coordinate with the Chinese Embassy,” it said. The communication is from Jangchup Choeden, who is the Chairman of Gelugpa Monastic Disciplinary Council and a close aide of the Dalai Lama. Tempa Tsering, a prominent representative of the Dalai Lama in Delhi and a senior member of the Tibetan Government in Exile, is part of a committee to coordinate with the Chinese embassy over a project involving Tibet’s supreme spiritual leader. According to sources, the intended rapprochement with China, if it happens, is meant to tone down the differences between the Dalai Lama and the dragon, and ensure the smooth succession of Ogyen Trinley Dorje, the 17th Karmapa. His appointment was the only public point of agreement between the Dalai Lama and China. So what is the ‘project’ Tempa Tsering mentions and who all are part of it? The communication reveals that he has managed to convene a meeting led by important Tibetan spiritual leaders close to the Dalai Lama for his health, longevity and success of his mission, not clarified by Jangchup. Bin Laden was killed five years ago, but transnational jihadism lives on. Shelling by Turkish artillery and drones which took off from southern Turkey struck Islamic State targets in Syria on Sunday, killing 34 militants, the Turkish military said. It said the strikes, in response to Islamic State rocket attacks which hit the southern Turkish province of Kilis, destroyed six vehicles and five Islamic State gun positions. The border town of Kilis and surrounding area has been hit frequently by rocket fire from Islamic State-controlled Syrian territory in recent months, killing civilians. In Sunday’s strikes, Turkish howitzers and multiple rocket launchers first hit Islamic State targets about 12 km (seven miles) south of the border, then four drones that took off from the Incirlik base in southern Turkey destroyed further targets, the military said.Turkey has repeatedly fired back at Islamic State positions under its rules of engagement, but has said it needs greater support from Western allies, citing the difficulty of hitting moving targets with howitzers. Foreign Minister Mevlut Cavusoglu was quoted as saying last week that the United States would deploy a rocket launcher system near the stretch of border that has come under attack. A senior U.S. military official confirmed the matter was under discussion but declined to comment further. I have written many times in this space on the evolving situation in Iraq regarding the fight against the Islamic State (ISIS). In large part my analysis pieces have been based on the experience gained through my two-plus decades of military service, including four combat deployments (two of which were in Iraq). But for this contemporary situation I have been reliant on reports by journalists on the ground. In the early March, I traveled to Iraq to find out first-hand what the conditions were like in and around the site of the next big fight: the battle for Mosul. While there I visited four refugee camps, interviewed considerable numbers of displaced persons, met with the commanding general of the Peshmerga in command of troops opposite Mosul, talked with some of his troops, and met with aid workers and journalists from the region. It was an eye-opening visit to say the least. In some ways I discovered the situation was worse than I’d imagined, the looming fight more complex and multi-layered than I’d imagined, and the brutality of ISIS was even more cruel than i’d heard. But I also discovered pockets of hope and reason for at least some optimism. Somewhat to my surprise, the decision to go to war in Iraq in 2002 has been a major issue in this year’s race for the White House. Sen. Bernie Sanders has questioned the judgment of Sec. Hillary Clinton for voting for the war when she was in the Senate. Donald Trump has used his early opposition to the war as a selling point in his quest for the Republican nomination. I am now the only Republican remaining in Congress of the six in the House who voted against going to war in Iraq. It has been both fascinating and surprising to me that what was certainly the most unpopular vote I ever cast has very slowly become possibly the most popular. The night before that 2002 vote I was told of a poll in my district that showed 74 percent of my constituents supported the war, with 17 percent undecided. Only 9 percent opposed the war. I had voted for the first Gulf War in 1991 after attending briefings by Gen. Colin Powell, Gen. Norman Schwarzkopf and other high-ranking officials that made Saddam Hussein sound like the Second Coming of Hitler. I then watched Hussein’s so-called “elite” troops surrender to CNN camera crews and empty tanks. I realized then that the threat had been greatly exaggerated. Awad Hajjara has known ten tour-guide colleagues that left Jordan in recent years. Many others have given up the profession to take other jobs. In a country where tour-guide licenses take years of study to obtain, it is symbolic of a larger problem. Tourism to this small Middle Eastern country has fallen by eighty percent in recent years, says Hajjara. Since the Arab spring, tourists are reticent to come. Fearful of what is happening in Iraq and Syria, they are staying away, even though Jordan remains a peaceful country with a robust military and strong tradition of stability. Irbid in northern Jordan is the city center of the second most populous governorate, with around 1.7 million people. Since the Syrian civil war broke out in March of 2011, this city and nearby Ramtha on the border with Syria have been on the frontline of a massive exodus of Syrian refugees from southern Syria. The UNHCR estimates that 642,000 Syrian refugees in Jordan today, but the overall number of Syrians is thought to be around 1.2 million. For a country of 6.7 million Jordanian citizens, this refugee crises has been a transformative experience. Many Jordanians will point out that the country accepted hundreds of thousands of refugees from Iraq during the years of turmoil that began in the 1990s and continue to today. In 1948 Jordan hosted, and then provided citizenship to, hundreds of thousands of Palestinian refugees. Weeks later, Washington is still abuzz from Turkish President Recep Tayyip Erdogan’s visit for the Nuclear Security Summit. It was an opportunity to showcase his once storied personal relationship with President Obama and Turkey’s relations with the United States. For Erdogan, the high-stakes visit was highly anticipated given instability in Turkey and its region. Spending almost a full-week in Washington, Erdogan’s plan included the Nuclear Security summit, a formal sit-down with Vice President Biden, a public speech at the Brookings Institution, and the opening of the largest Ottoman-style mosque in North America. But other events obscured these highlights. Erdogan’s security detail got rough with press and protestors gathered outside the Brookings event; and Obama’s comments about Erdogan’s leadership dominated the story, at least in Washington. Erdogan certainly left his mark, but given how polarizing his own leadership has become and the nature of the U.S.-Turkish relationship today, perceptions of the trip were widely different in each country. On the American side, media coverage of Erdogan’s visit focused almost exclusively on points of controversy and disagreement. Starting with an announcement that American personnel were leaving southern Turkey given security concerns, the tone was set and only increased with the size and intensity of the protests against Erdogan in Washington. Outside of the Brookings Institution speech, opposition and pro-Kurdish protestors decried the increasingly nationalist and controlling nature of the AK Party government clashing with Erdogan’s security guards and supporters. In order to overcome or at least mitigate the impending global A2/AD challenge, the U.S. Department of Defense began to roll out its third offset strategy in late 2014. The aim of this offset strategy is to leverage U.S. advantages intechnologies such as big data, stealth, advanced manufacturing (3D printing), robotics, and directed energy, with a view toward sustaining and advancing U.S. military-technological superiority for the 21st century. Arguably, the key driver behind the third offset strategy is Chinese advances in A2/AD capabilities. Strategic developments in the Asia-Pacific region will likely set the pace and evolution of U.S. military-technological innovation for years or even decades to come. Dividing historical periods into eras is often a difficult endeavor, if only because contemporaries rarely recognize the age they live in as new or special. Few would have anticipated in 1945 that the bombings of Hiroshima and Nagasaki would herald the beginning of the ascent of nuclear weapons as a central currency of power in the East-West conflict. Instead, U.S. military leaders tended to consider nuclear weapons as a sort of heavily reinforced artillery that helped them "get more bang for their buck." It was only during the Cuban Missile Crisis in 1962 that officials in Washington and Moscow realized that nuclear weapons could well bring about the end of the world. The logic of nuclear deterrence began to take shape: there was no gain—however large—an aggressor could hope for that would compensate the immeasurable damage he would suffer from his enemy's nuclear retaliation. In a nuclear war, there could be no winners, only losers. The arsenals of nuclear weapons on both sides thus gained the power to exert, through mutual deterrence, a moderating influence on political decisions in the East and in the West. They altered the cost-benefit calculation of a potential aggressor by drastically demonstrating to him the dangers of his actions. Avoiding the use of nuclear weapons therefore became the stated aim of the two superpowers. At the same time, the use of nuclear weapons—and this is one of the fundamental dilemmas—had to be a very real possibility in order to achieve a credible political deterrent. This means that it must be possible to use nuclear weapons in order to prevent them from being used. This inherent contradiction in the concept of nuclear deterrence has always been difficult to explain to the public. The German Armed Forces aren't very experienced in being deployed overseas, unlike many other NATO partners' troops. Countries like the US, UK or France never stopped sending soldiers abroad to fight in foreign countries. Germany, having been responsible for the outbreak and horrors of the Second World War, re-established its armed forces in 1955 under the strict premise of taking on a purely defensive role within NATO. The end of the Cold War and especially the wars in the Balkans in the 1990s changed this. In 1994 the German Constitutional Court cleared the way for the first ever deployment of German combat troops at scale outside of the NATO's area of operation. German soldiers took part in the peace enforcement and peace keeping missions IFOR and SFOR in Bosnia and Herzegovina. Only after being deployed to Afghanistan in 2002, as part of Operation Enduring Freedom and later the international ISAF mission, did the Bundeswehr take on an active combat role abroad. Still, it wasn't until 2010 that the then German Federal Minister of Defense Karl-Theodor zu Guttenberg tentatively admitted that German troops were, for the first time in 65 years, fighting a war on foreign soil.